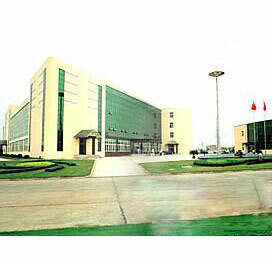 World Group was established in 1988. With the concept of contributing to the country by industry, World Group becomes one of the most famous construction machinery enterprises in Jiangsu province with 20 years’ hard work and great efforts. As one of the Top 500 Private Enterprises in China, World Group is also the largest private enterprise in Zhenjiang, and gains the honor of Famous Enterprise many times. With the total capital of over 4 billion, World Group owns eight subsidiary companies, one sharing company and one listed company. The number of the staff is more than 8,000. The products include construction machinery, metalforming machinery, environment-protection machinery, agricultural machinery, special vehicle, vehicle parts, real estate development and etc.